AND attack was recorded during this Wednesday night in the Palos Blancos sector, in Quidico, in the north of the village. t Tirúa, in the province of Arauco in the Biobío region. 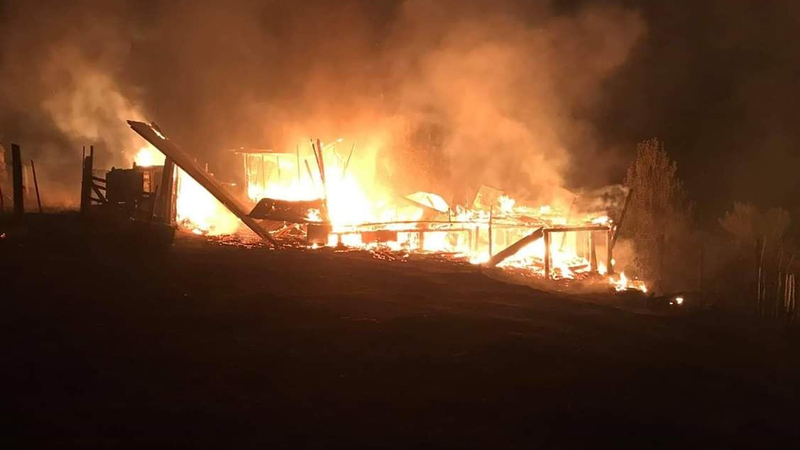 One house, a series of neighboring sheds – with potatoes and parcels – and the rabbit hutch was burned by at least 10 hoods and armed who threatened the caretaker and stole his cell phone so he could not make an emergency call, the authorities confirmed. This situation was aggravated by the fact that At least four points on the road between Tirúa and Cañete are cut outwho prevented the First Fire Company from participating in the emergency situation and left only the second company in their hands. In the city Huentelolén The footage is recorded, so Prefectura de Fuerzas Especiales de Carabineros has moved to where it reopened the route.